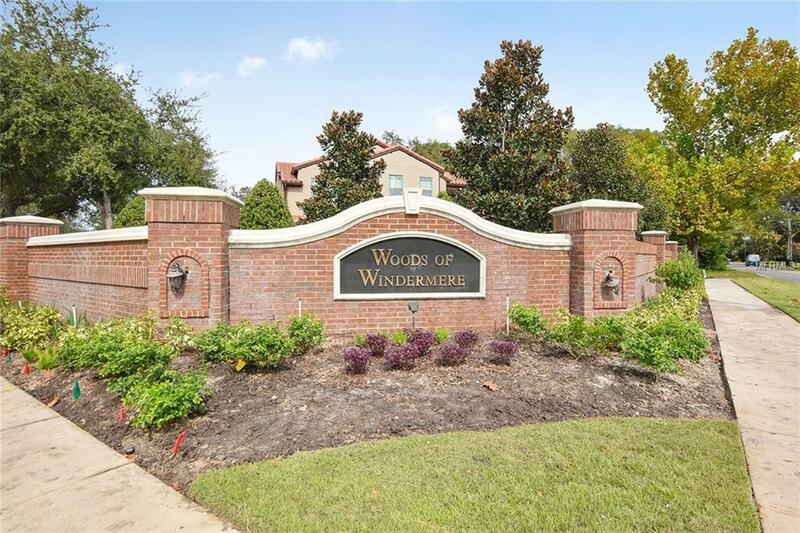 WELCOME HOME to the Woods of Windermere-an intimate neighborhood of only 12 exquisite homes. The stunning Siena model is filled w/elegant details. As you approach the home, you are greeted by an artisan fountain in the courtyard. Step into the elegance of 12 tray ceilings, hardwood & large porcelain tile flrs. Formal Dining Rm w/tray ceiling accented by adjoining Butlers Pantry & Wet Bar. The Gourmet kitchen is a chefs delight & features an island w/Farmhouse Sink, Pot Filler Faucet over gas range, Electrolux professional grade Stainless appliances, granite counters, wood cabinetry, & a walk-in pantry w/plenty of storage! The brkfst bar & nook complete this very family friendly, functional, beautiful Kitchen for perfect entertaining & memorable meals. The Master suite has "His & Hers vanities; lg walk-in shower; soaker tub & 2 lg walk-in closets. Within the owners' suite there is a Flex space that can be used in a variety of ways, a laundry room & access to the home office. Also located on the first floor is a guest suite. Upstairs are 3 more suites, a bonus room & a 2nd laundry room. 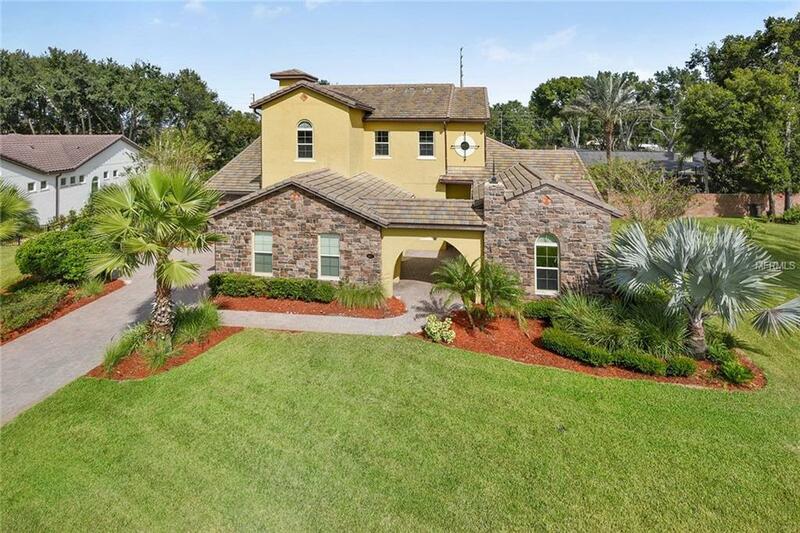 Magnificent resort style heated Saltwater Pool & Spa transforms the Lanai into a stunning Oasis complete w/Summer Kitchen surrounded by stylish pavers in the massive, partially fenced, wooded backyard a wonderful retreat for relaxing & entertaining. This home also boasts an exterior video monitoring system. 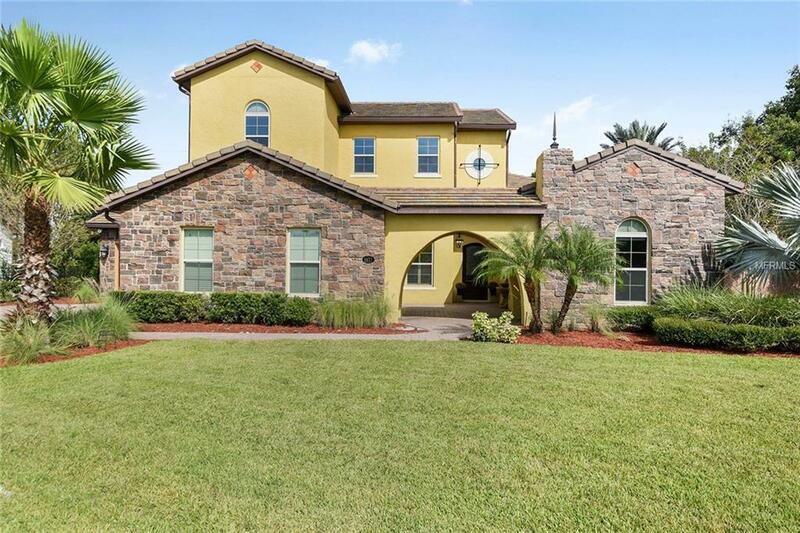 Dont miss your oppty to own this INCREDIBLE home! Call to schedule your private showing today! Pet Restrictions Must Be On A Leash.